A state of the art high speed Intranet is managed and maintained by the computer center to provide wired and wireless Internet service to the GJU family. 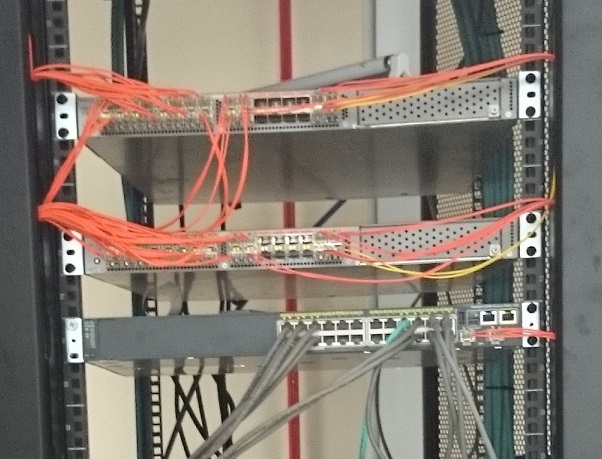 Our network is comprised of two redundant core switches that are located in the data center and are interconnected via a 10 gigabit fiber optics backbone to the aggregate switches in all of the GJU buildings in the main campus. Moreover, several wireless access points are distributed all over the campus to provide Internet service in cafeterias, hall ways, squares, and parking lots. A hardware firewall is also deployed between the Internet and the core switches to prevent unauthorized users from accessing our Intranet. Furthermore, a web filter is also installed within our network to ensure no harmful or offensive content is accessible to our Intranet users.